It is a painstaking dish and takes almost 5 hours to get it done. You also have to be careful else the roast may miss the mark. But if done correctly, it will be a pleasure to relish. A little secret in this recipe is the dark rum which perfectly infuses with the Indian spices and gives a special typical flavor to the roast. As a Bengali, I have come to know that lamb and rum are two of our favorite delights and in this dish I have combined the both. Hope you will enjoy this special delicacy. 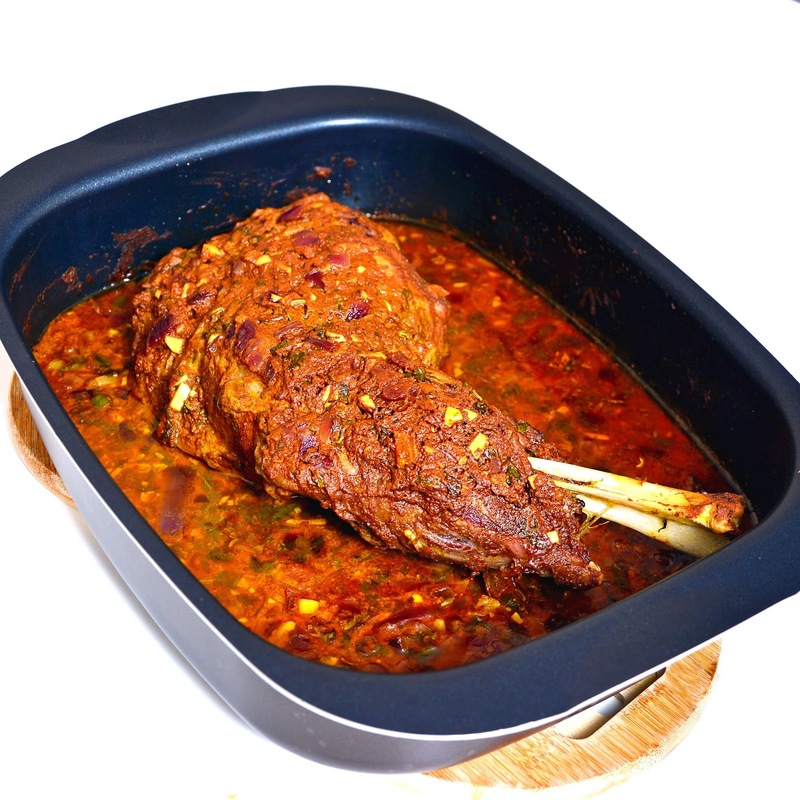 A lamb roast done with Indian spices and rum added to marinade that makes the roast just too perfect. 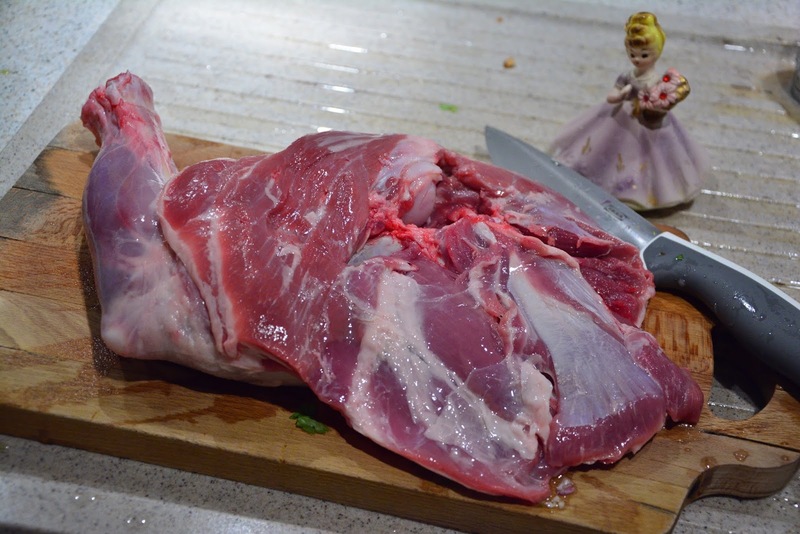 Prepare the lamb shank : Discard any extra fat or tendons from the lamb shank. Give some slits on both sides of the lamb shank. Prepare the yogurt based marinade : Take the yogurt in a deep bottomed bowl. 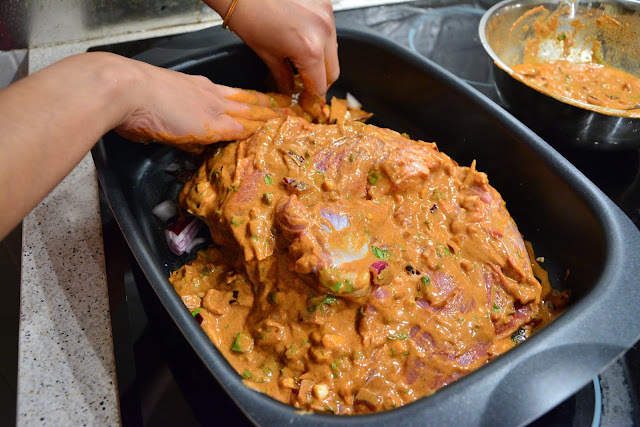 Add all the dried spices, red onions, garlics, green chillis and coriander leaves. Add sunflower oil and salt to the marinade. Mix well with a fork. Now add the dark rum to the marinade and mix well. Let the marinade sit for 15 minutes. Take a deep bottomed roasting pan and butter it well. 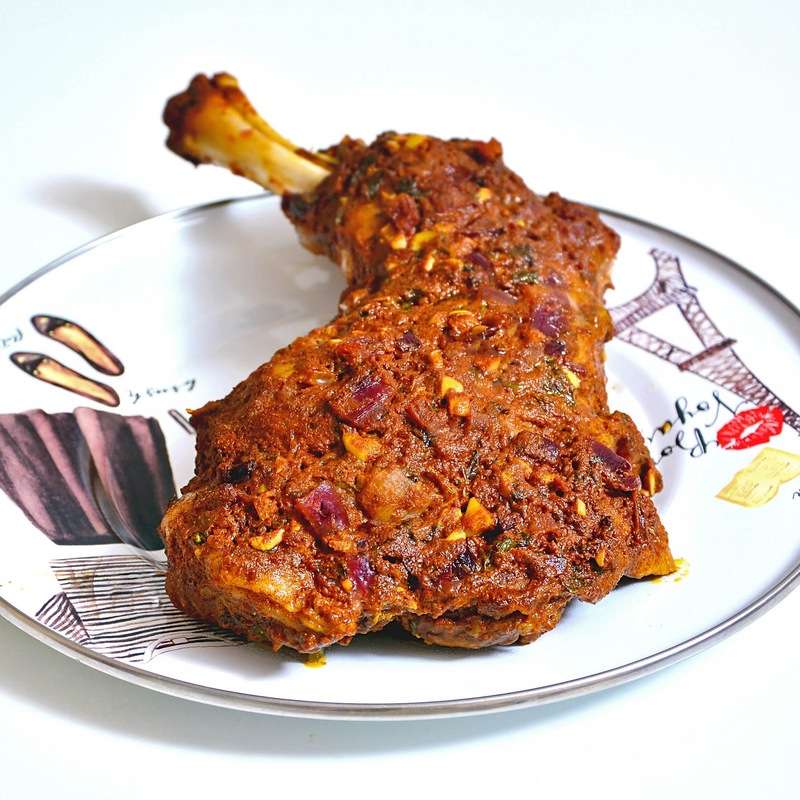 Place the lamb shank and massage it well with the marinade (both the sides of the lamb shank). Place it in a preheated oven for 30 minutes at 210°C. After 30 minutes take it out and bust both sides of the shank with the juice collected in the roasting pan. Then rub both sides of the lamb with butter. Cover the roasting pan with aluminium foil and put it back in the oven. Now roast it again for 30 minutes at 180°C. Take it out again and bust both sides of the lamb with the juice of the roasting pan. Turn the side of the lamb and cover the pan with aluminium foil. Roast it again for 30 minutes at 180°C. Take it out and check if the lamb is done. Change the side of the lamb, bust it again. Roast it again uncovered at 180°C for 7 minutes. Take it out and cover it and rest it for an hour before serving.